A Bahamas Destination Wedding: How Much Does it Cost? 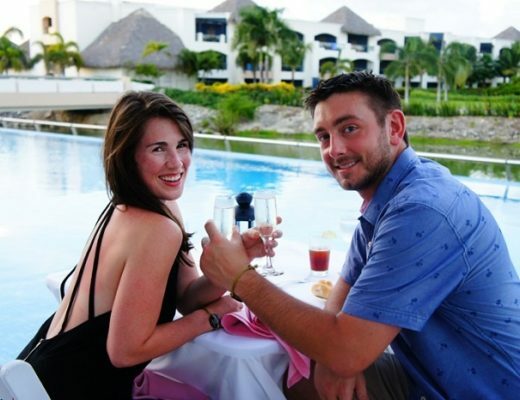 The Bahamas has become a popular dream destination for most couples who are planning their wedding in the Caribbean. Located approximately 50 miles off the coast of Florida, the state features over 700 islands that make up the famous Islands of Bahamas. The most visited places include the Grand Bahama Island and Nassau, the capital and popular cruise-ship stop. The Bahamas is a beautiful destination that has got so much to offer as a country. Imagine a picture of your feet immersed in the warm white sand with the beautiful waves splashing onto the shore. Here, weddings are treated like more than just special occasions, so you can be sure that your big day will have everything that you dreamed of and much more. We provide you with everything that you need to know about your Bahamas destination wedding cost. 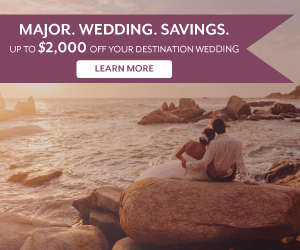 The average cost for a destination wedding, regardless of location, is $20,000* (exclusive of the honeymoon and travel expenses). The average number of guests who attend a destination wedding is 80. So, you can expect the figure to rise if your destination wedding will have more than 80 guests. When planning for your dream wedding in the Bahamas, you have the option of working with a wedding planner or doing the planning yourself. The key to having a fabulous wedding in the Bahamas is starting to plan for it early enough. Put in place a good system of time management since it helps you to save more time when researching your options and making reservations. 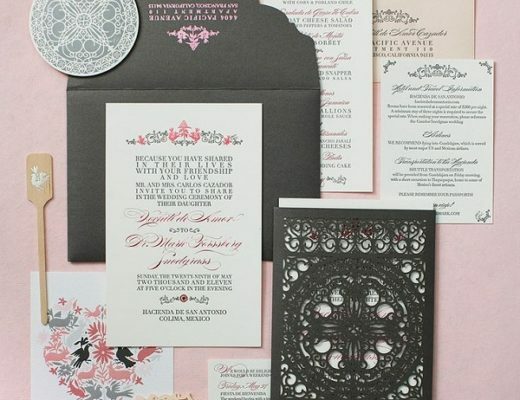 Typically, working with an experienced wedding planner can make the whole ordeal less stressful. That in itself is worth the price to many! Planning a wedding – especially one that involves travel with a group of people – can drain your energy before your big day… not to mention, for many months leading up to it. A wedding planner will be much more knowledgeable of your dream destination – meaning they have their pulse on the best venues, best time to book, where to go, and which services on the island are top-notch. As an added bonus, wedding planners can help to make your entire wedding budget more affordable. The average cost (for the couple) of a 40-guest destination wedding planned by the experts at Destination Weddings is $7,622. This is much affordable than a traditional wedding at home in the U.S., which costs an average of $35,329. To estimate your Bahamas destination wedding cost, take the number of guests that you expect to attend your wedding and multiply by the estimated cost per guest. For instance, if your estimated cost per guest is $200 and you expect 80 guests, then the average cost of your destination wedding should be $16,000. After the engagement has passed, it’s time to discuss your financial situation with your partner and make sound financial decisions that will make your dream come true. Here are some budgeting tips that will help you achieve an inexpensive destination wedding. Be honest about your financial situation: Some people may feel a little uncomfortable to expose their financial status to their partner. It may be difficult, but it’s an important conversation to have with the person who is about to become your life partner. Trust your fiancée and be transparent about your financial standing. This is the first step towards coming up with a realistic budget for your wedding. Don’t let debt get in the way of your destination wedding: Some couples tend to postpone or take shortcuts on their dream wedding since they are still paying for an auto loan, mortgage or school loans. However, delaying your wedding or settling on a third-choice location because of debt can have a negative impact on your relationship. Plus, it will lead to regret and ‘what-ifs’ down the road. Don’t allow such debts get in your way. Instead, discuss realistic solutions with your partner and come up with ideas that will help you settle these debts. After all, a destination wedding in the Bahamas can be cheaper than one planned in your own backyard. Differentiate your personal budget from your wedding budget: Don’t mix your personal needs with needs that are exclusive to your wedding. Come up with a wedding budget and stick to it. Some of the common mistakes that couples make when it comes to setting their wedding budget are spending too much with limited resources or not taking their wedding budget lightly. Learn to manage your expectations, and your cost of getting married in the Bahamas won’t get out of hand. Make financial talk a regular discussion: Financial talk between the two of you shouldn’t be just a one-time talk. Keep your partner updated about your financial situation even as the day of wedding draws closer. Keep track of expenses and savings with your destination wedding in mind. Creating and sticking to a budget is a fool-proof way to ensure spending doesn’t get out of hand. But when it comes to spending, choosing an all-inclusive wedding package is one of the best ways to make your big day more affordable. The all-inclusive destination wedding packages available in the Bahamas feature experienced on-site planners to help you execute the various aspects of your wedding. Here are some more money saving tips to make the most of your Bahamas trip. Pick a resort that has something for everyone: Research the different, affordable wedding resorts in the Bahamas and settle on the one that offers a wide range of rooms and prices that will serve your guests well. Most people who wed in the Bahamas will want to choose Paradise Island or the Grand Bahama as their preferred wedding location, but it doesn’t mean that they are the only good location in the Caribbean. There are lots of other resorts and islands, such as Andros, Exuma, and The Out Islands, that still offer a picture-perfect ceremony at affordable rates. Wed during the off-peak season: The best discounts for brides and grooms are always offered during the off-peak season – so don’t overlook this advantage when planning your wedding. Plan your wedding in the Bahamas in April or early May to enjoy exclusive discounts on venues, services, and group activities. Some of our partner resorts also tend to offer great discounts around this time of the year. Consider a group wedding: What about planning for your wedding alongside two or three other couples getting married on the same day as you? Most resorts in the Caribbean offer exclusive discounts for groups, and you can request for even greater savings if your group is large enough. Be flexible with travel: We all know that the sooner the plane tickets are booked, the more likely you are to get them at a steal. For guests of the wedding, you might suggest flexibility in travel dates to save a little more. If you have your wedding on a Sunday, everyone is likely to spend less by traveling home on a weekday. If you plan to be on the island around Bahamas Independence Day, Christmas, or another holiday, look for tickets to fly out the week before or after. They’re likely to be cheapest! Ask and you shall receive: Don’t just seek out discounts on accommodations! Especially if wedding with a group or during the off-season, you can save plenty by asking for special discounts on other activities such as dining and transportation. By the way, in the Bahamas it’s not uncommon for bars and clubs to offer discounts and even entertainment passes for a flat free. Book activities ahead of time: While it can be fun to choose activities for you and your guests on a whim, doing so is not always the economical choice. Once you’ve arrived in the Bahamas, it’s easy to opt for the main touristy spots – but sometimes those are the more expensive excursions. Doing your research ahead of time is not only a good idea for your budget, but for your wallet as well! Ask the locals: It’s easy to scour the Web for popular bars and restaurants in the Bahamas. But we recommend you talk to the locals and get their take! Whether that’s your hotel concierge or a friend you make while sailing, natives can point you in the direction of the best eats and late-night hangouts (and don’t forget the fish fry!). Similarly, you can save plenty on your bar tab by drinking like the locals do – with regional rum-based cocktails and local beers. 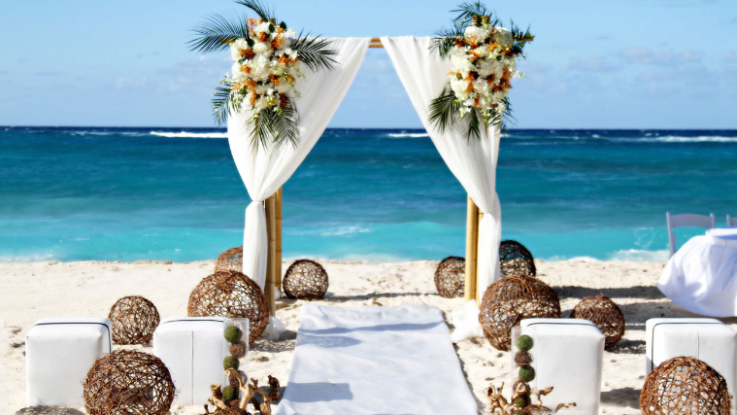 We hope you find this information useful as you plan your dream wedding in the Bahamas. Contact us today and let us take the responsibility of planning your perfect getaway. Nice blog. You post will help a lot of people to choose their right destination wedding spot. Great work and thanks for sharing your experience with us.